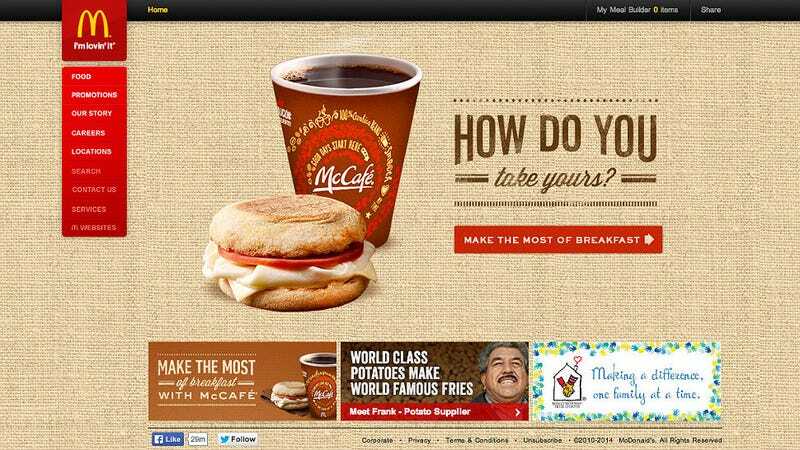 The list of America's most hated companies is out and McDonald's is at the top. The company's public struggle with worker wage protests and penchant for paying just enough to put keep their employees below the poverty line hasn't worked out so well. I love it when a national protest works, even if it's just in the form of widespread consumer dissatisfaction. A recent study conducted by the National Employment Law Project (NELP) found that McDonald’s employees rely more on public assistance programs than any other large fast-food company, with an estimated $1.2 billion in costs to the public. Making matters worse, McDonald’s advised some of its employees to sell their possessions to make-up for holiday spending debt. Recently, the fast food chain’s hotline designated to help its workers live on their modest incomes encouraged employees to apply for food stamps. Low wages may be why the fast-food giant scored just 73 in the American Customer Satisfaction Index, the lowest in the limited service restaurant. Really McDonald's, a hotline to walk your workers through applying for food stamps? But I guess we should expect that from a company that also hates old people — but only in New York though. In the borough of Queens, there is a quiet standoff between McDonald's management at Parsons and Northern Boulevards and a gaggle of elderly Korean customers who use the fast food joint as their hang-out. The elders hang out so long in fact that the police come in shifts to put them out, in winter with record low temperatures. Classy, McDonalds. “They ordered us out,” Mr. Lee said from his seat in the same McDonald’s booth a week after the incident, beneath a sign that said customers have 20 minutes to finish their food. (He had already been there two hours.) “So I left,” he said. For the past several months, a number of elderly Korean patrons and this McDonald's they frequent have been battling over the benches inside. The restaurant says the people who colonize the seats on a daily basis are quashing business, taking up tables for hours while splitting a small packet of French fries ($1.39); the group say they are customers and entitled to take their time. A lot of time. I guess I understand; Mr. Lee is like a freelancer working in a cafe that only orders one coffee in a six hour stretch. But Starbucks isn't putting people out, are they? Oh, McDonalds, first you mistreat your workers and then kick out your older customers? What's next, snapping off the heads of the toys in happy meals?